The skills learners need to use the tools and be independent in their learning. Resources shared include: Learning Plan and PL Backpack Templates, iOS, Google Chrome, Microsoft and Android options, Matrix of tools and learning resources; WEBINARS ARE RECORDED. Live demonstrations and realistic implementation discussed. Feel Confident with an understanding of the apps, tools and resources along with the learning skills that can support the learning diversity you have in your classroom or home. Support ALL Learners, including your most Diverse. If you cannot join us live for the webinars, Register to receive the recording and view at your leisure. You will receive a copy of all resources as well! Join us at the ATNow Conference in Salem, Oregon! 2/7-2/9! Expert Speakers, Awesome Keynotes, Vendors/ Exhibitors & an AT Maker Fair! Fall PD-3 Conferences in November in New England! Dyslexia, Transition, Blind/ Low Vision, UDL, Google & iOS, Literacy & More-Join Us! Looking for fall professional development? Join us at 3 New England conferences this month! RI, NH & , Boston! AT, AAC, Literacy, Dyslexia,Transition, Blind/ Low vision, Google and iOS, UDL & Personalized Learning! Students using various assistive technologies in the classroom. Join us for Monroe Learning Network’s 9th annual continuing education seminar! You’re invited to be inspired; learn alongside other clinicians in the assistive technology (AT) world; and ultimately empower your clients at Bridging the Gap: An Interprofessional Approach to Assistive Technology. This is an opportunity to deepen your assistive technology knowledge in the Mobility or Speech field (AAC) and strengthen your implementation strategies to transform your classroom, clinic, or practice. An exceptional line up of speakers, an inspirational keynote, your peers, and the latest manufacturers in the AT world! Whether you’re a Speech Language Pathologist, AAC Specialist, Physical/Occupational Therapist, Assistive Technology Professional, or Seating/ Mobility Specialist; members of each field need to work collaboratively to transform and enhance the lives of people with disabilities. Two different educational tracks: 1) Mobility & Seating and 2) Speech & Language. Two Days/ Locations to Choose from! Rochester, NY on 10/24/18 & Syracuse, NY on 10/25/18. Join Kelsey Hall and Diana Petschauer from ATforED for one of the Speech/AAC/Literacy workshops, 3 hours hands-on! AAC, Literacy & “ 5 to Thrive” Building Pillars of Support: Many students struggle with literacy (reading and writing), from lower-order skills such as phonemic awareness, decoding, and encoding to higher-order skills such as fluency, comprehension, and conversational discourse. 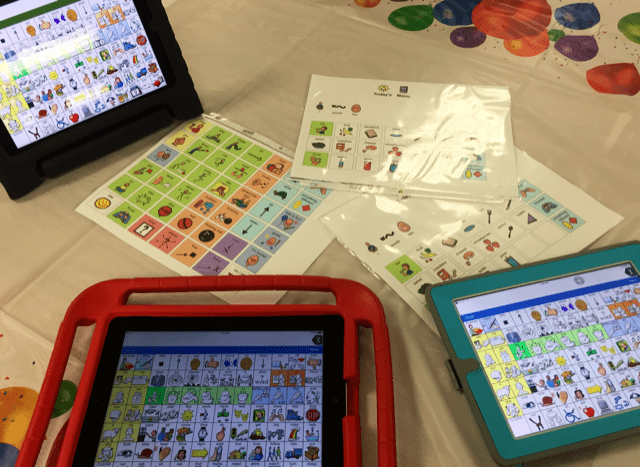 In addition, students with complex communication needs using augmentative and alternative communication (AAC) are challenged with the task of not only learning to communicate with a new language system, but simultaneously learning and practicing their literacy skills. With ever-changing technology and advancements in communication and learning tools, this often leaves educators feeling as though they are under-prepared in terms of knowledge and skill regarding the most effective way to support students struggling with language and literacy. These challenges often beg the following questions: (1) How do educators and related specialists collaboratively build a bridge to support students’ language, literacy, and communication? (2) What role does technology play in supporting student learning and literacy acquisition? and (3) What high-quality, affordable technology tools are available to provide learning support across a variety of ages? This research-based, informative, and engaging session features hands-on demonstrations and activities for participants interested in building the bridge to literacy through technology. Participants will learn about apps (iPad and Google Chrome) and other assistive technologies (web resources, AAC devices) to support all learners from preschool through high school, including those who struggle with literacy and/or experience complex communication needs. AAC users Can and Should Learn to Read! Participants will engage in group activities and discussions specific to the technology presented, as well as opportunities to problem solve specific student needs and create example lessons and lesson plans, based on an explicit, systematic and multi-sensory approach to literacy instruction (Including the 5 Pillars-Phonemic Awareness, Phonics, Vocabulary, Comprehension & Written Expression). Learn about descriptive teaching and embedding the core into lessons throughout the day. Make and Take Literacy activities will provide participants with skills and resources to utilize immediately after the training. Join us and add an extensive amount of resources to your digital toolbox of literacy technology resources! Register for Rochester, NY on 10/24/18 or Register for Syracuse, NY on 10/25/18. Assistive Technology (AT) bridges gaps for learners with dyslexia by supporting access to grade appropriate content. AT aids in reducing frustration and prevents learners from falling behind. If individuals do not have access to AT, their literacy development will suffer, negatively impacting higher order skills, such as comprehension, idea synthesis, and conversational discourse. AT and explicit intervention CAN play nice! 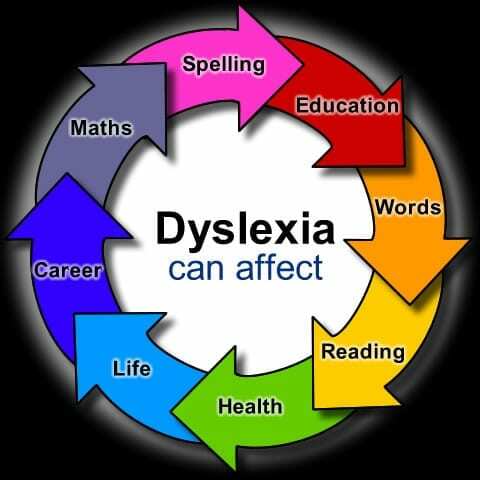 Recognize the nature of dyslexia and related language learning disabilities and the role of multisensory structured language instruction (MSL). Outline the critical components for proficient reading including language development, phonological awareness, decoding, fluency and comprehension and identify technologies to support these components. Students with complex communication needs and/or significant language-based learning disabilities are often underserved in reading instruction, yet require systematic, explicit, and multisensory instruction. Instead, instruction is primarily focused on shared reading and sight words. Join us for a hands-on and engaging session about using assistive technologies to supplement quality reading instruction with students who have complex needs. Outline the critical components for proficient reading including language development, phonological awareness, decoding, fluency and comprehension. Access potential applications of language based technology for direct instruction and/or accommodation for students with complex communication needs. The majority of students in the US live in poverty (NCES, 2015). School funding cuts make it challenging to meet the needs of students. Poverty should not dictate student access to assistive technology. This session will discuss and provide hands on practice of FREE AT tools to support student language, literacy, and learning growth despite a budget crunch. Plan Your Fall PD-AT Conference New England in RI-11/29 & 11/30/18 Join Us! Join several consultants from ATforED at ATCNE in Rhode Island in November! AT to Successful Transition to the Workplace. Many other phenomenal AT and Ed Tech experts and workshops (Including Accessible STEM) as well as a great exhibit hall of vendors and technology! Read more information and register on the ATCNE website! *Instant OCR and text to speech for documents on the go such as Menus, grocery items, signs, etc. *The latest innovative assistive technologies being developed and utilized currently! For recreation, an indoor pool for swimming and adaptive games will be available. This will be a weekend of learning and fun activities and a chance to meet new friends. The program will take place the weekend of May 4-6, 2018. We will pick up attendees in Boston (Other arrangements available for NH students). If you are an administrator, counselor, teacher of the visually impaired or an orientation & mobility instructor, please inform your students’ parents or guardian about this opportunity. If you are the parent of a blind child/student, please contact John Oliveira, President, Association of Blind Citizens at president@blindcitizens.org or call 781-961-1023, if your child is interested. Registration materials will be provided at that time. This opportunity is being offered at no charge to participants. Limited Space Available! The registration deadline is April 15, 2018. NH Family Support Conference 4/28/18, Successful Transition Using AT! Accommodations, Laws, Tech demos,Advocacy! NH Family Support Conference 2018! 4/28, A student from NH presents with Diana from AT for Education-Successful Transition Using AT! Accommodations, Laws, Tech demos, Advocacy! http://fscnh.com/index.html Come Visit our Exhibitor Table for Hands-On support and AT Demos! (What a beautiful resort and views/ area to join us in the White Mountains of NH)! 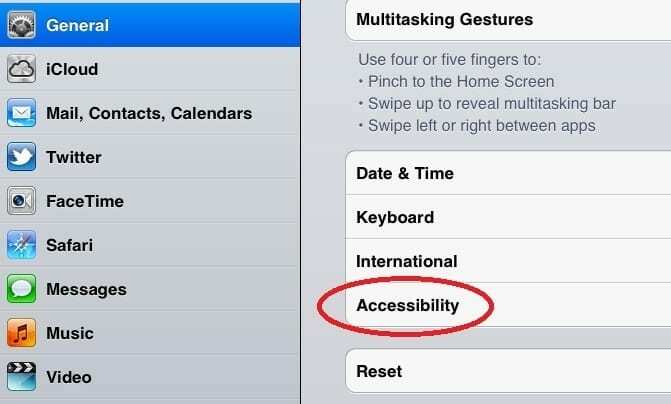 Assistive Technology for Education shared a post. “If Paralympian Daniel Romanchuk’s star emerged after winning both the Chicago and New York marathons last year, it is now shining like the sun after becoming the first U.S. man to win the Boston Marathon men’s wheelchair division race since 1993 on Monday. The Clicker Apps on a Chromebook and/ or iPad are phenomenal literacy support for various abilities and needs. their personal power and create healthier schools and communities. OUR VISION: To empower teens to lead healthy lifestyles and create stronger communities through community-focused prevention and leadership workshops. Dear Summer Program, We miss you. 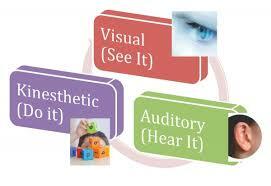 Many children with cortical visual impairment (CVI) also have an inherent sensory processing disorder. "Children with sensory-based dysfunction who do not meet the criteria for autism based on social communication deficits remain virtually unstudied." Are you looking for Assistive Technology or Accessibility Services? Contact Us! 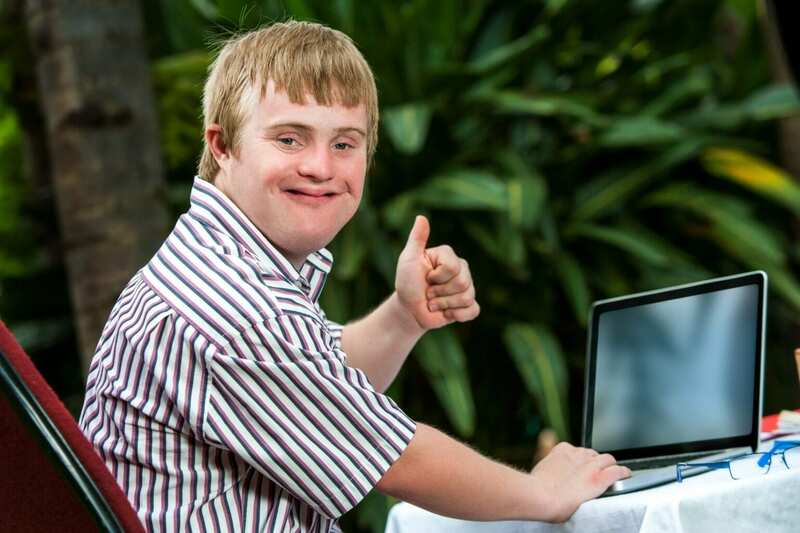 We provide Accessibility Technology and Training services nationwide. Email, call, or complete our online contact form to discuss your Assistive Technology needs. Email: info@atfored.com Phone: +1 (603) 998-4980.